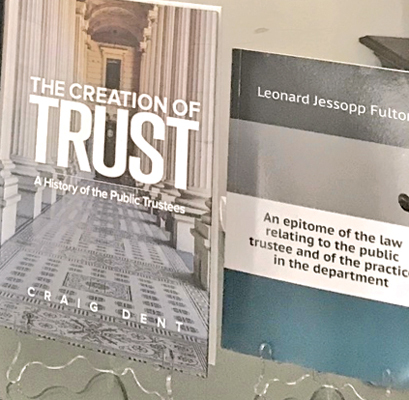 The Public Trustee Department approaches 88 years on October 22, and is one of the oldest serving institutions dating back to 1930. However, despite being such an established institution, a lot of the people don’t know what the Public Trustee does. According to the current Public Trustee Sanath Weeratne, the concept originated in New Zealand and was then followed by South Australia from where it spread its wings to England and several states in USA. Now it is established in several other countries such as Singapore, Hong Kong, Fiji, India and Sri Lanka. “In 1930, the concept was established under an Ordinance and the mandate that the Public Trustee has is set out in the Ordinance. According to Section 5 of the Ordinance, the general powers and duties of the Public Trustee specifies that the Public Trustee can act as an ordinary trustee, collector of estates under an order to collect, act as a custodian trustee, and act as a curator of an estate belonging to a minor, manage estates of persons of unsound mind, manage immovable property on terms of contract and conditions including fees as mutually agreed upon, and act as an attorney for persons absent from Sri Lanka for the purpose of receiving and paying money. Under Chapter 35 of the Civil Procedure Code, the Public Trustee can act as a guardian of any person of unsound mind,” Weeratne explained. Worldwide, the Public Trustee is considered to be (wherever the concept is practised) independent, unbiased, non-political and impartial. That is why, Weeratne said, people have left their trusts and estates with the Public Trustee without going elsewhere. “That is the spirit of the concept. The Public Trustee is also duty bound to look after the welfare of the less privileged in the community. When I say transparent what I mean is financial transparency. When you are dealing with properties or assets of people who are not capable of handling it, and of properties and assets of people who are no longer living, we have to do the right thing by them. The dead can’t talk, so we have to carry out their wishes according to how they wanted it done,” he said. Over the years, the Public Trustee in Sri Lanka has not had the recognition or goodwill it ought to have had. In the citizenship protocol in the country, the President is Number 1, the Prime Minister second, the Speaker third, Chief Justice fourth, Attorney General fifth, Auditor General sixth, the Public Trustee is seventh. “But if you take a random section of the public, of 100 people, around 99 of them would know who the first six are, but they won’t know the Public Trustee. I have experienced this as some ask me if I am from the Treasury. This is because this office has not received due recognition in the past. “One reason is because we have not taken it to the public. Even if someone passes this office, they won’t know,” said Weeratne, adding that the only way that the trust of the public can be earned is by being transparent and acting in a manner that would make people have trust in this department. He said that creating awareness and building trust was vital. 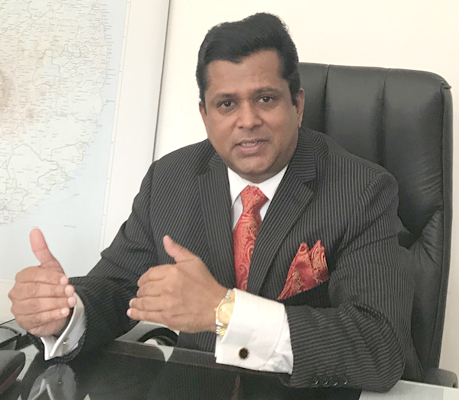 According to Public Trustee Weeratne, in this day and age, the concept of the Public Trustee has to be taken to the people through different platforms such as websites, Twitter, Facebook or through branches established countrywide. “Under the Buddhist Temporalities Ordinance, where there is acquisition of lands belonging to temples by various government institutions such as the RDA and UDA, those funds come to us and based on the directions of the Director of Buddhist Affairs, we release the funds to the relevant Buddhist institution,” Weeratne said. Sanath Weeratne is the 25th Public Trustee. Some of his predecessors have served a second term. The very first Public Trustee of Sri Lanka was Dr. Paul E. Peiris. “They have all done their best and thanks to their efforts, the Public Trustee Department is still in existence,” the present office-holder said. When asked what future plans Weeratne has to improve the services of the Public Trustee Department, he noted that his main effort is now to take it to the next level where they could emulate some of the systems and procedures and methods adopted by the Public Trustee offices in the West. “We have a population of around 22 million in Sri Lanka and if we want to serve them better, we have to go out to them. We have the resources where we can have regional officers and we need to get to that stage. However, first things first, we need to get our main house in order. One of the things we need to do is to amend the current Ordinance. That is a must as the current Ordinance is 88 years old and certain sections are outdated,” he added. 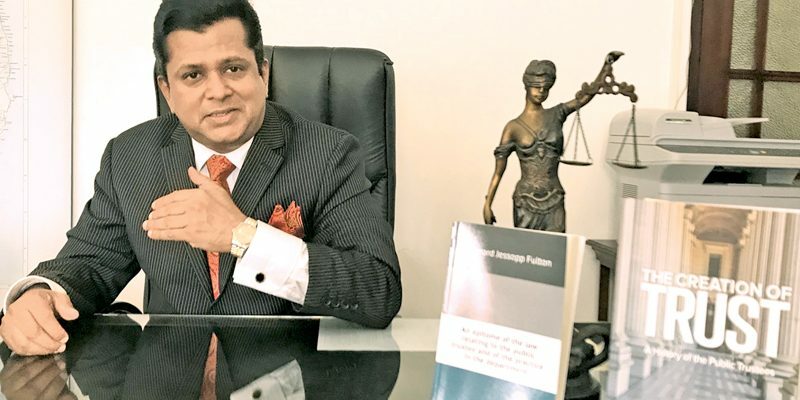 Weeratne said that one of the things he has requested from Justice Minister Thalatha Athukorala is that the amendment of the Act, adding that he greatly appreciated the support and guidance of the Justice Minister. Although the Public Trustee Department has a website, it has been inactive for the past 10 years. However, Weeratne assured that their website would be up and running within the next two weeks. The Public Trustee Department has a cash portfolio of over Rs. 2 billion and an asset portfolio of perhaps four times that amount and manages 1,200 trusts and an employment cadre of nearly 90 staff. Yet people hardly know what they do. This is perhaps because the Public Trustee Department has not marketed itself properly, he said. “I would like to look at having a Public Trustee Day in Sri Lanka and perhaps issuing a stamp to mark Public Trustee Day. All this would have not have been possible if not for the faith Sir D.B. Jayatilaka placed in this institution. He was the pioneer who took a lot of effort to start this concept in our country. In his capacity as a statesman in this country, he went out of his way and donated his most prized asset – Thurban House – and in his last will, he says as long as the Public Trustee concept is prevalent in this country, it shall operate from this property and pleaded that it not be sold,” Weeratne said, adding that his goal is to see the Sri Lanka Public Trustee Department on par with the Public Trustee office of New Zealand or Australia within the next few years.